Original Source Lemon & Tea Tree is loved by many people. So it’s not surprising that most supermarkets and drugstores now sell their own cheaper alternative. One of those cheaper alternatives is Sainsbury’s Lemon Body Wash.
Let’s start with Original Source Lemon & Tea Tree. This shower gel has been a favourite of mine for many years. I love the cool and zesty lemon fragrance, especially in summer, because it’s very refreshing on a hot day. I also think that this shower gel brightens my skin – it must be the vit C from the lemons. 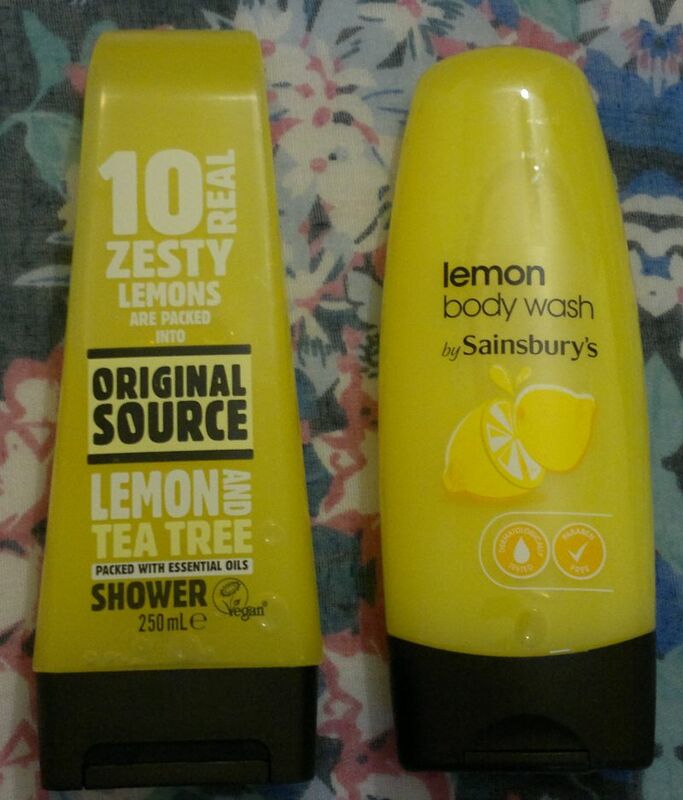 Sainsbury’s Lemon Body Wash smells fresh and zesty as well, but the scent is much weaker and considerably less natural. It’s not unpleasant, though. In summary, Sainsbury’s did an OK job with its lemon body wash. However, it can’t compete with the original. In my opinion, Original Source is the clear winner of the Battle of the Lemons. Original Source’s Lemon & Tea Tree shower gel (250 ml) is available for about £2.20, but it can usually be found for £1 somewhere. Sainsbury’s Lemon Body Wash (250 ml) can be yours for 90p or even less if it’s on special offer.